We are a family owned and operated business since 1972. When quality counts, count on Lloyd Copelan Garage Doors for all your Garage Door and Garage Door Opener Needs. We Carry all Lifmaster Professional products as well as Clopay Doors. We service all other brands. 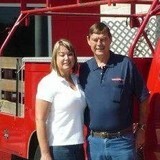 Lloyd Copelan began in the garage door business in the 1970’s and lives right here in our Yucaipa, Redlands community. If your home has a garage there is a good chance it has a Lloyd Copelan Garage Doors sticker on it. Our longevity in varying economic times is a testament to our core business values and our commitment to consistently offering a fair price while providing quality installations, preventative maintenance and service to our customers. Services by Clarks Perris Garage Doors & Gate Repair We here at Clarks offer a huge selection of garage door replacement and garage door repair services. Call us at Clarks 24 hours a day, 7 days a week, and we will be there as soon as possible to help. We can help no matter how small or how large the project. You can rely on Precision Garage Door of Riverside & San Bernardino County to provide the type of service you would expect from a locally owned company, while enjoying the security that doing business with a National Franchise company can bring. Each location is owned & operated as an individual franchise. Our slogan is "We Fix Garage Doors Right"™ and we spend a lot of time defining and redefining what that means to us as a company and what it means to you as a consumer. This singular focus has led us to pioneer the industry standard warranty for garage door repair and a training program for technicians that is second to none in the garage door industry. Precision Garage Door of Riverside & San Bernardino County was opened in 2001 and proudly serves Southern California. 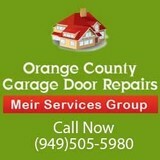 Riverside Garage Doors & Gate Repair Welcome to Clarks Garage Doors & Gate Repair Riverside. We are here to serve the great city of Riverside with excellent garage door repair and garage door installation services. We have a long history of serving customers from Jurupa Valley to Moreno Valley, from the sunny beach-side residential homes of Corona to the beautiful commercial properties that line the skies of Downtown Riverside and beyond. If you live or own a business in historic Riverside and you want to continue with the modern city look and you need commercial overhead garage doors installed we can do it. 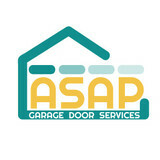 What types of garage door service tasks do contractors in Mead Valley, CA provide? A damaged garage door can lead to increased security risk, ruined belongings and an unpleasant exterior, so look for Mead Valley, CA repair professionals who provide same-day or emergency services if the damage is extensive and poses a potential health and safety risk. 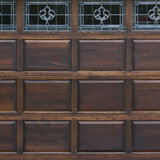 Find Mead Valley, CA garage door repair professionals on Houzz. Narrow your search for garage door repair professionals by selecting the nearest city or zip code. Look at portfolio and product photos, and read reviews to find the best garage door contractors in Mead Valley, CA for your home.